Yemen: What Picture Will You Take? I'm about to leave Yemen after a week training our field staff and documenting the plight of millions of displaced and impoverished civilians. For a year now, millions of Yemenis in the poorest country in the region have been living under a cruel Saudi-led blockade and relentless air strikes. The driver, Adnan, 44, is intrigued about the training I gave. 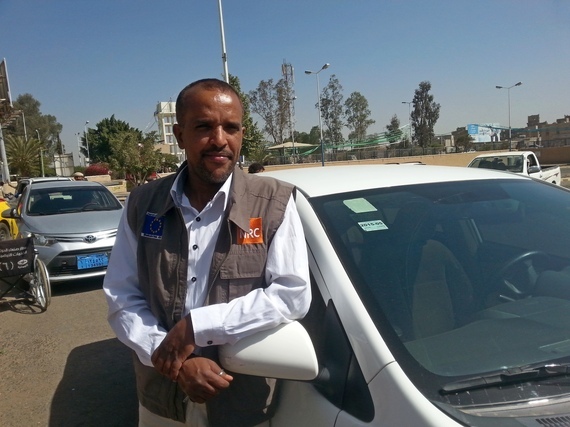 As he drives me to Sana'a airport, Yemenis are going through their daily chores amid bombed out buildings--from factories, shops and houses to government offices. "If you had to stop to take a picture now, what would you photograph?" he asks me. I tell him I would try to capture Yemenis going about their daily lives to the backdrop of destruction. 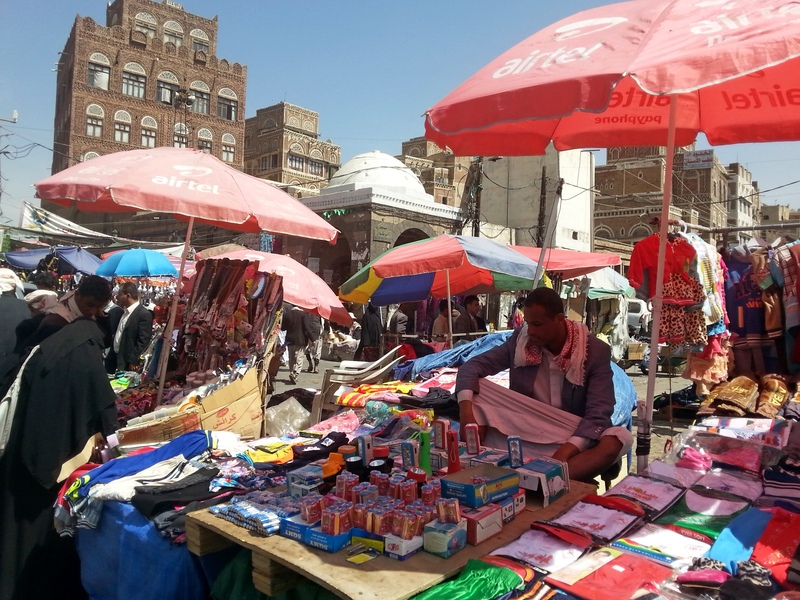 People going to work or doing their shopping, children going to school, kiosk owners selling fuel on the black market (fuel is one of the essential goods affected by the blockade), young and old people chatting and chewing khat. "I like that," he says with his infectious smile, but he quickly adopts a pensive mood. "I understand your job is to bring attention to our situation, but how do you do it? Nobody cares. We've been in this war for almost a year and everyone has forgotten us." That's a question I've been struggling with. Part of the harsh, brutal answer lies in the fact that none of the elite nations feel the impact of this crisis--it is too marginalised and, unlike the desperate Syrian refugees risking their lives to reach Europe, most of the Yemenis are internally displaced and cannot make it to safety elsewhere. Even before the war, Yemen had a massive chronic poverty and malnutrition crisis that was barely ever covered in the media. Now, the little news that comes out portrays the situation as hopeless, as if millions of Yemenis are just fighting each other and spreading terror, never mind that the bombs falling on Yemen are manufactured and sold by western countries. I tell Adnan one way to go about it is to zoom in on the individual stories, giving a face and a name to this crisis, showing that behind the big figures and high politics, there are innocent individuals with dreams and aspirations like everyone else. The question is then to make linkages to the outside world, the common threads that unite us, despite our cultural differences and contexts. "How can I help?" he asks me. I ask him to tell me his story, and what he tells me just sweeps me away. For seven years he worked as a marketing manager with Shell, until the oil multinational pulled out of Yemen in the wake of a string of Al Qaeda attacks across the country. It was in that job that he learnt English. "I had to learn English well to do my job," the father of four said. Suddenly unemployed, he started a business importing lubricants from Dubai, but local cartels soon dominated the market by slashing prices, making it impossible for him to continue. 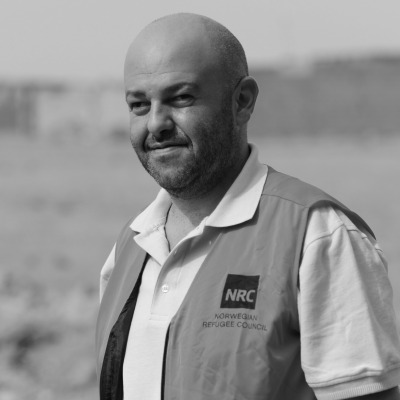 For two years he lived on his savings, bought a van to do odd jobs, and just a little less than four years ago joined NRC as a driver. The grandson of a Yemeni from Aden who travelled to Ethiopia about a century ago, where Adnan was born, Adnan speaks four languages: Arabic, English, Amharic and Oromo, and tells me he's learning Italian. That surprises me. "I just love Italian," he goes on to add. "When I hear someone speaking Italian, there's something musical, poetic, which no other language has. I tried learning French but it's too complicated. You write one thing and say another. Italian is melody." We go on talking in Italian for a while. He loves it, and I'm thrilled. "I watch Italian films with subtitles to learn new words," he says. "Whenever my son sees me glued to my laptop with the headphones on he always asks me why I am bothering learning this language. I just love it, but he doesn't understand. If only I knew you spoke Italian I'd have made sure you'd stay with me all week." Adnan's story defies expectations, but it shouldn't come as a surprise. In my week I met a staff member who studied Ernest Hemingway and Daniel Defoe for his Masters dissertation in English literature, but is still waiting to do his viva as his Indian professor left the country as soon as the war started. His dissertation is a comparative study of the heroic attributes of Robinson Crusoe and Santiago, the main character in The Old Man and the Sea. I met heads of families whom the Norwegian Refugee Council is helping with food aid who until a year ago had normal jobs that made them proud breadwinners. The blockade and the war made them jobless overnight, dependent on humanitarian aid. I met an extremely poor family who had to flee last year after the blast from powerful air strikes nearby destroyed parts of their house. One of the daughters, Tahani, 19, was about to launch her own local campaign to get working children back to school, with her father's support. She now volunteers at a local hospital because she feels there is a shortage of medical workers and wants to be a nurse. "Sometimes I think maybe I should give up," Adnan tells me as we approach the airport. "Maybe there's no future for us. But I have to do it for my children." As Adnan stops his car in the airport parking, we exchange emails and our skype details. He asks me to stay in touch so that he has someone he can speak in Italian to. I tell him I need to take his photo. That's the last photograph I took in Yemen.